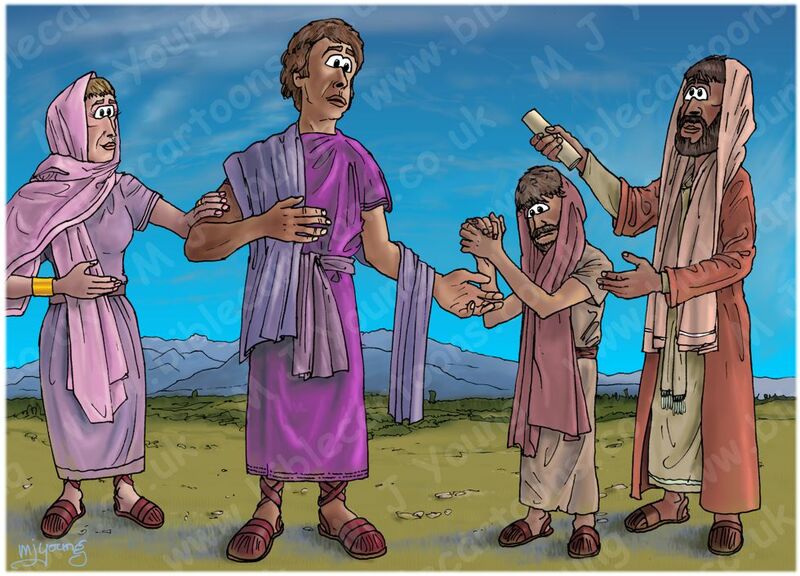 Bible Cartoons: Philemon goes green! I have just completed my very first Bible Cartoon for the New Testament book of Philemon, which is a very small book – it only has 25 verses ion it! The scene shows a runaway slave returning to Philemon (his master) along with Tychicus & a letter from the imprisoned apostle Paul, telling Philemon how useful Onesimus has been, & that Paul regards him as a son. Now I only have 5 books of the Bible to illustrate & then I’ve done at least one Bible Cartoon for each of the 66 books of the Bible… can I do it before year’s end? I hope so!